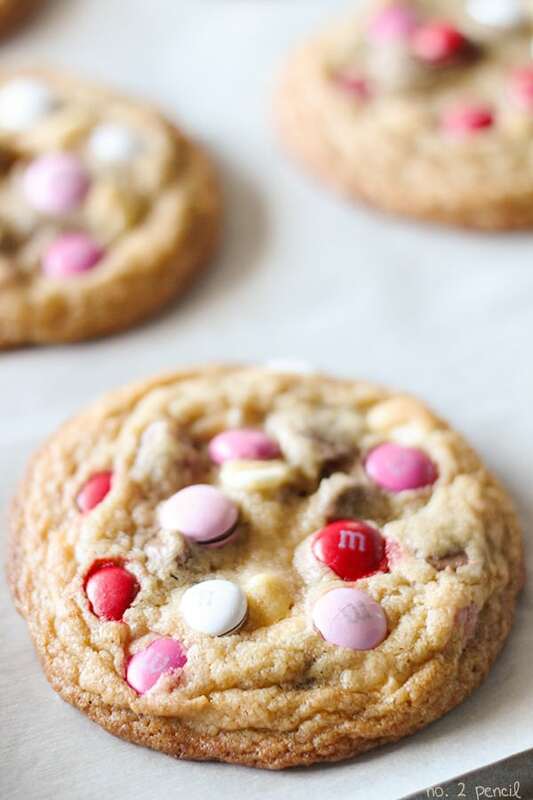 These Valentine’s Day M&M’S cookies are the perfect M&M cookies. 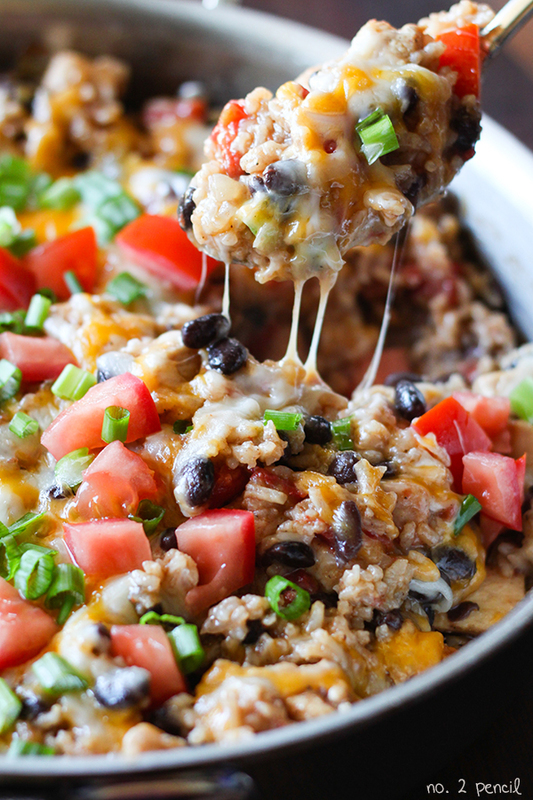 They are loaded with milk chocolate chips, white chocolate chips and M&M’S. 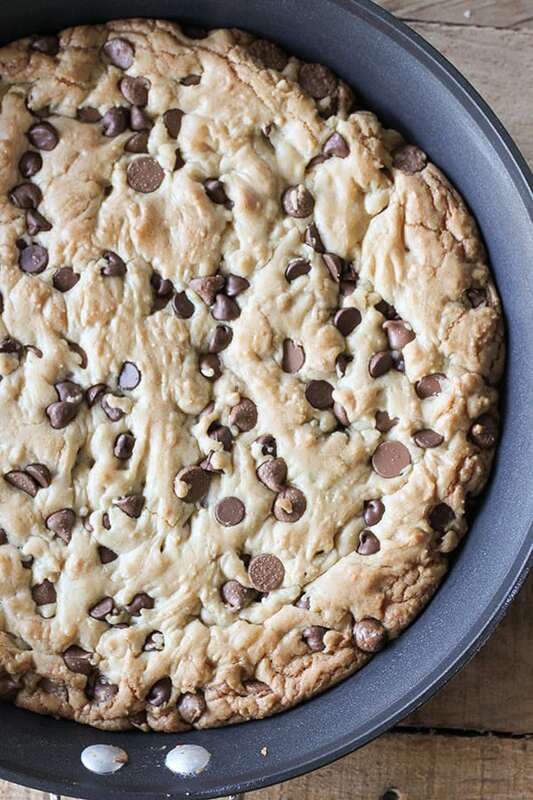 I started with the cookie dough from my Perfect Chocolate Chip Cookies and added a combination of milk chocolate chips and white chocolate chips along with the M&M’s. 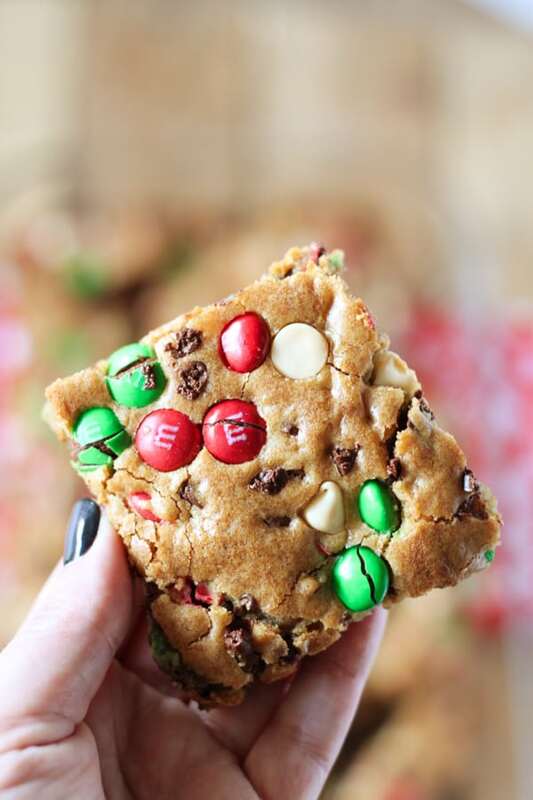 The white chocolate chips don’t get as soft and melty as the milk chocolate chips, so you have three different amazing textures in these M&M’s cookies. 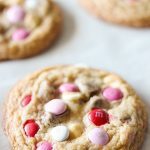 Sweet white chocolate chips that hold their shape nicely, soft and melty milk chocolate chips and a little crunch from the M&M’s. 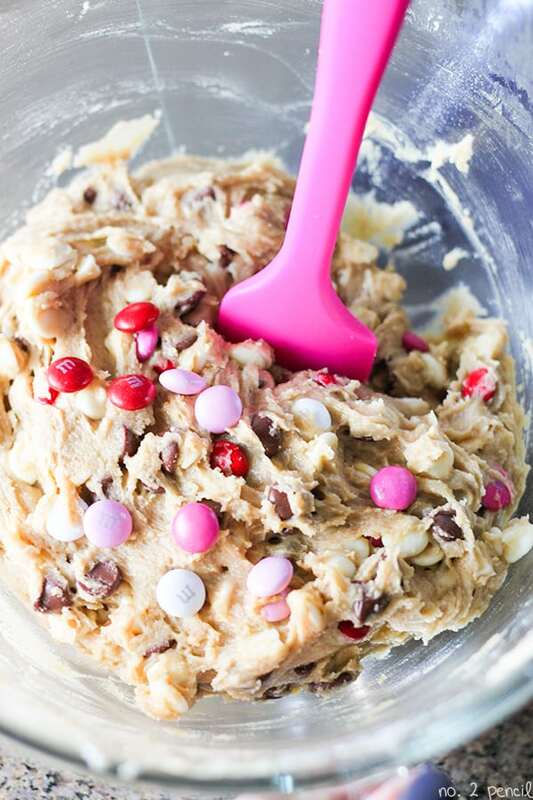 These M&M’s cookies are big and beautiful too, perfect for gift giving!